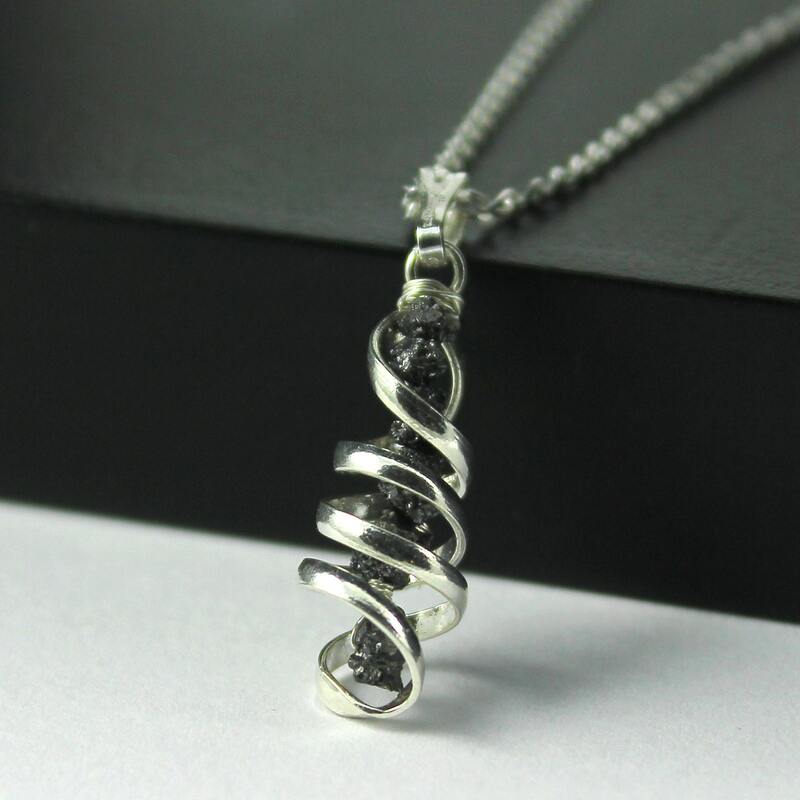 This gorgeous necklace includes a spiral style Sterling Silver pendant and Rough Diamonds hanging from inside of the pendant. 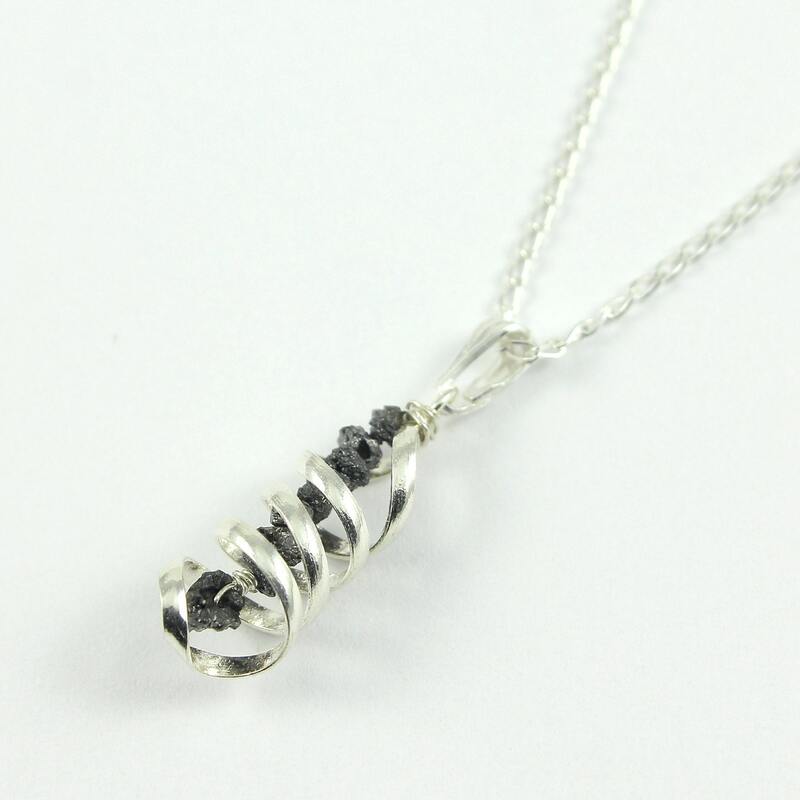 The pendant is hanging from Sterling Silver, diamond-cut long curb chain. 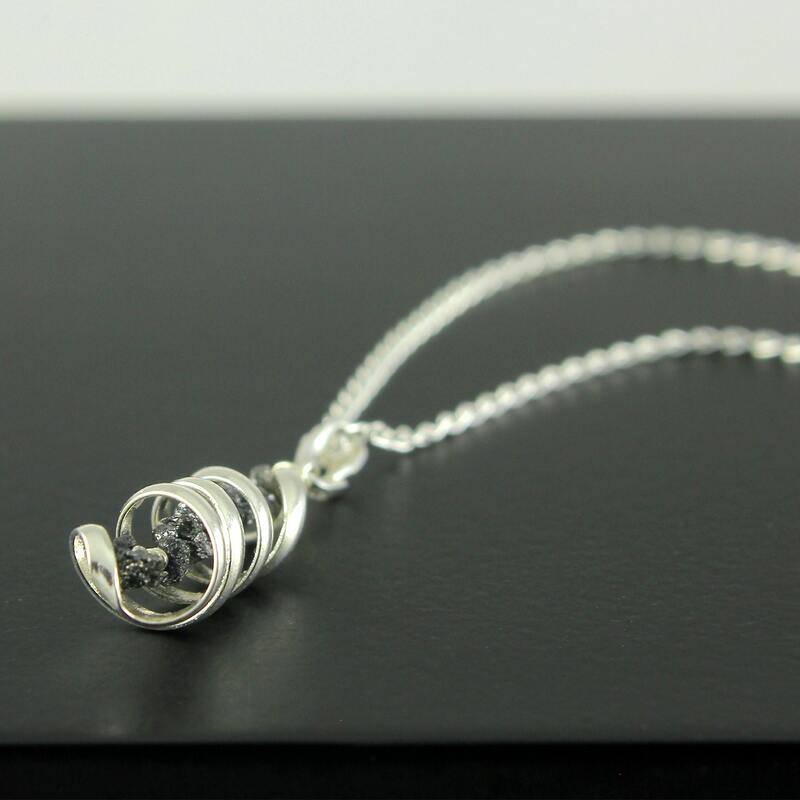 The spiral pendants measure 19 x7mm. 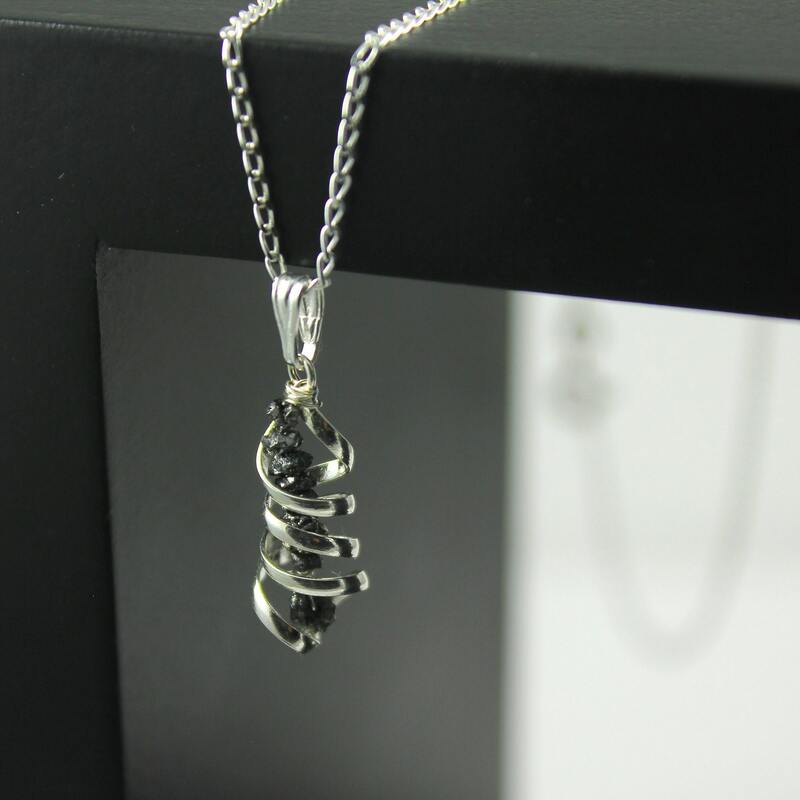 These black Rough Diamonds measure approximately 2.0-3.0 mm. 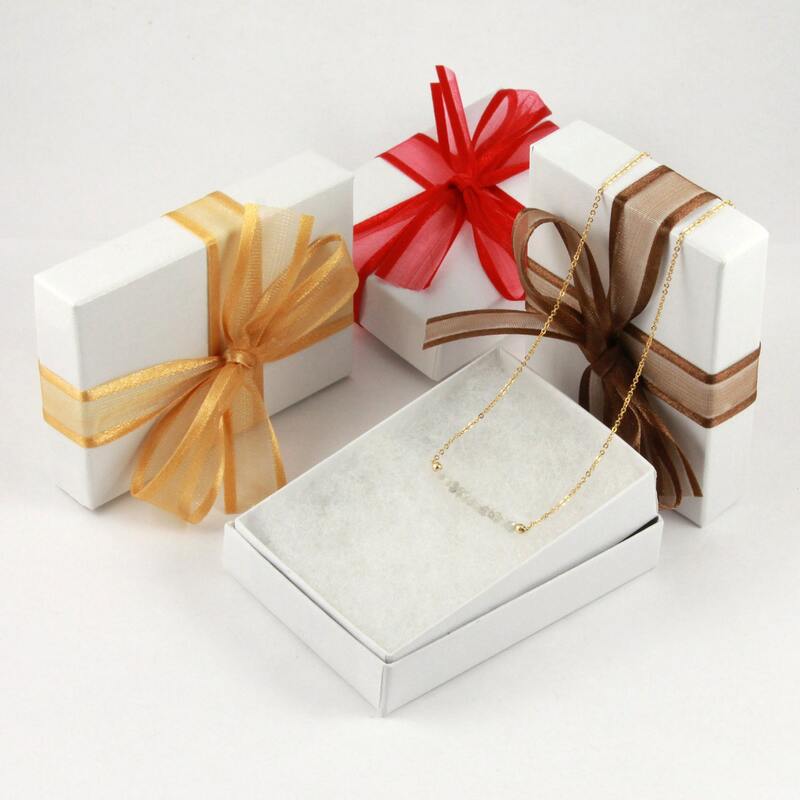 The necklace comes in a nice gift box. It is ready for gift giving!